1 What's next for Pakatan Harapan? The learning curve has been steep for Malaysia's first-ever new government, with the past seven months throwing up not just speed bumps, but also insurmountable obstacles to plans for wide-ranging reforms promised prior to Pakatan Harapan's (PH) shock win in May. Some of these have been self-inflicted, such as doing away with taxes and reintroducing subsidies. These have made financially unsound vows - to do away with student debt and toll expressways - impossible to fulfil. So far, it has had a useful "get out of jail free" card. Blaming the disgraced Najib Razak administration for leaving it with over RM1 trillion (S$328 billion) in liabilities, not least due to missing billions from 1Malaysia Development Berhad, has given PH some breathing room. But as time passes, this tune will get old. And so will the backtracking over racial issues, amid a right-wing Malay uprising against a government they say is being manipulated by ethnic Chinese and liberals, now that the Democratic Action Party is in power. To be fair, the Mahathir Mohamad administration has used most of its resources this year to press the reset button, clearing the house in important government institutions and coming up with a plan to bring public finances back in order. Next year will show if PH can offer "a new deal" of sorts. Several reforms are being readied for Parliament, both in areas of politics and civil liberties, as well as the economy. And the good news is that with the once long-ruling Umno on the brink of collapse, the government should be able to push through new legislation and policies without too many hiccups. 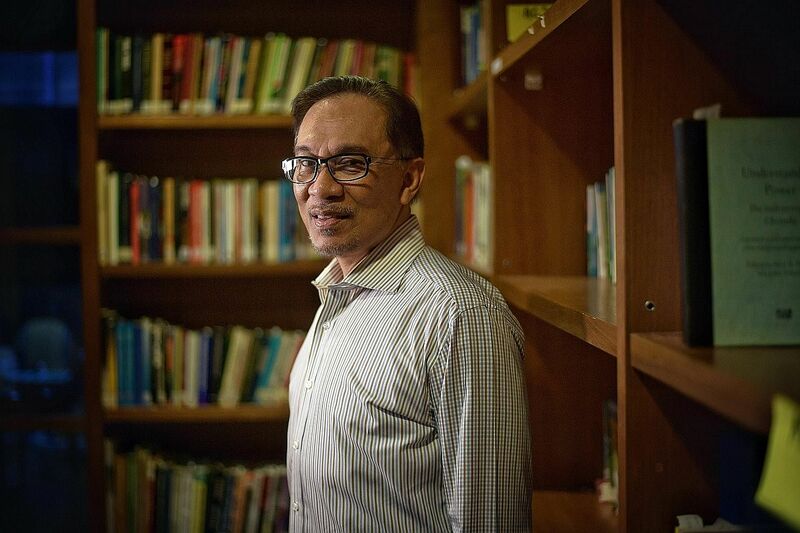 PH's biggest enemy might be itself, even as the clock ticks on the promised - yet uncertain - transition from Tun Dr Mahathir to Datuk Seri Anwar Ibrahim, expected some time in 2020. Political wrangling will increase and distract from the job of governing. Dr Mahathir has promised to step down, citing his 93 years of age, but ominously added it is up to the public to accept Mr Anwar as premier. One year is a long time in politics, and it is a brave man who bets against the old fox whose mastery of the game in Malaysia does not seem to have waned despite the 15-year break since he last sat in the Prime Minister's Office. More than 192 million voters in Indonesia will head to the polls on April 17 to cast their ballots in the 2019 presidential and legislative elections. This will be the first time that citizens in the world's third-largest democracy will pick their president and MPs on the same day. All eyes, however, will be on the high-stakes contest between President Joko Widodo and his old rival, former general Prabowo Subianto. While the presidential race has been billed as a rematch of the 2014 election between the two, Mr Joko - better known as Jokowi - is no longer the dark horse, but the incumbent, whose track record will be up for scrutiny by voters. The question now is whether he has done enough, particularly in his infrastructure push, in beefing up the economy and raising wages, to convince Indonesians to give him a second five-year term. On the surface, he remains a popular figure, rarely ever losing his place at the top of nationwide electability surveys. At his peak, his approval ratings rose to almost 70 per cent, with several surveys released in October last year showing he would have won an election by a landslide if polls had been held then. That was a far cry from his winning margin in 2014, when he defeated Mr Prabowo with 53.15 per cent of the votes. Although electability surveys continue to show Mr Joko holding a double-digit lead over Mr Prabowo, many observers are expecting a tight race once campaigning heats up in the new year. Many, such as Mr Pangi Syarwi Chaniago, a political analyst from the Syarif Hidayatullah National Islamic University in Jakarta, have also warned that rising religiosity in Indonesia could threaten the President's re-election bid. They point to last year's election for Jakarta governor, when the incumbent Basuki Tjahaja Purnama was defeated by Mr Anies Baswedan, who was backed by Mr Prabowo in a bitter campaign marred by sectarian discord. Mr Pangi Syarwi told The Straits Times earlier this week that the tide could turn against Mr Joko if Mr Prabowo and his running mate, Mr Sandiaga Uno, garner momentum for their campaign. "If the electability of the challengers experiences an uptick, it can threaten the incumbent, whose level of support tends to stagnate over the campaign period," he said. But while it is still anyone's race, Mr Joko does have a slight edge, noted Mr Pangi Syarwi. "There will be many infrastructure projects which will be completed in February and March. These include new ports, the MRT, irrigation projects, and so on. We will see if they have an impact on his electability." Thailand will hold its first election in eight years on Feb 24. By then, the coup-prone kingdom would have spent almost five years under military rule. Critics of the ruling junta allege the polls have been rigged to extend military influence and engineer a second term for Prime Minister Prayut Chan-o-cha, a retired general who had led the 2014 coup. They also warn that his term could last for another eight years because of a transitional constitutional provision. This election promises to be intensely competitive, thanks to a new electoral system that narrows the gap between top-performing and second-most popular parties. The junta lifted a ban on political activity only on Dec 11, giving parties a very short runway to the polls. The new Constitution enacted after the coup makes it very difficult for big parties such as the former ruling Pheu Thai Party to dominate any more. Instead, small-or medium-sized parties will gain ground, making a coalition government very likely. New election rules also allow someone who does not run in the general election to become premier, as long as he gets the nod from both the elected House of Representatives and appointed Senate. 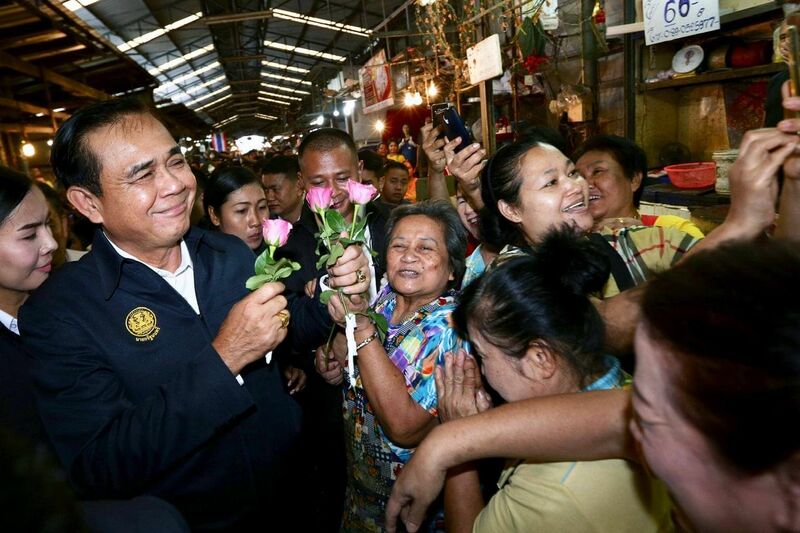 Several pro-Prayut parties have surfaced. The most prominent is the three-month-old Palang Pracharath Party, which is helmed by four key ministers in the Cabinet, a sore point for political rivals, who claim there is a conflict of interest because the party is getting crucial last-minute exposure from year-end government cash handouts for the poor. Palang Pracharath said it simply seeks stability and wants to save Thailand from another lost decade of political turbulence. Opposing them is the Pheu Thai Party, as well as its offshoot parties such as Thai Raksa Chart and Pheu Chart. They say they will work with anyone who stands for democracy and will reject Mr Prayut's return. But this alliance suffers from the perception of being controlled by former prime minister Thaksin Shinawatra, who was overthrown in a 2006 coup and has remained overseas since 2008 to evade a jail sentence. The medium-sized Bhumjaithai Party has stayed relatively low-key so far, but analysts expect it to eventually take a place in a pro-Prayut coalition. Meanwhile, the Democrat Party, led by former prime minister Abhisit Vejjajiva, remains the second-largest party after Pheu Thai. It projects itself as an alternative to the two opposing blocs. Also, young first-time politicians in the Future Forward Party, led by charismatic tycoon Thanathorn Juangroongruangkit, have captured the imagination of some progressives by declaring they want to decentralise power and downsize the powerful military.